SR 250 to Bennington Pike. House on Right. Sign on. 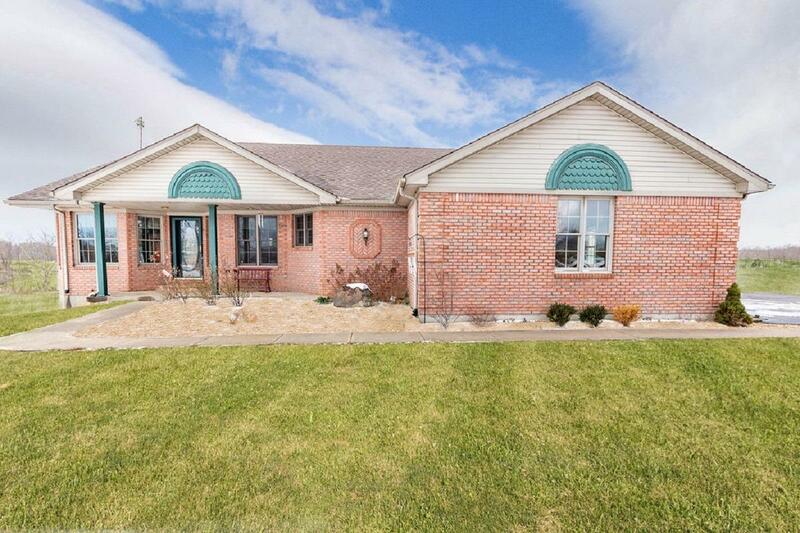 NICE Brick Ranch on 10 AC! Offers a great fl plan w/vaulted ceiling/crown moulding/SS appliances/granite counter tops. Lrg Mstr w/dbl vanity/walk in closet/french doors to back. W/O Bsmt partially finished. Attached & detached garages, 2 Outbuildings, 30x40 & 30x24 w/concrete floors & water. 7 AC fenced in & ready for livestock! City sewer & water! NOTE: This property was sold on 2/13/2019 and is no longer available. The details listed below are believed accurate to the date of the sale and are subject to change.